Seems likes it’s business as usual for the VW squad on the 83rd Monte Carlo Rally. At close of play today, there were three Polos in first, second and third places. Sébastien Ogier/Julien Ingrassia started Day 2 chasing Sébastien Loeb/Daniel Elena gradually reeling in and passing their Citroen rivals over the first five of Friday’s six stages. Then Loeb tore a rear corner off his DS3 and dropped a massive amount of time on the final special stage. Competitors were faced with extremely variable and difficult conditions. 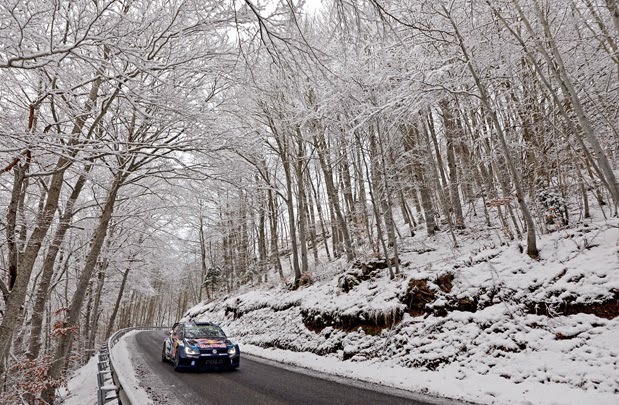 The road surface on the three special stages, each of which was tackled twice, alternated constantly between wet asphalt, snow and ice – and banks of thick fog. Choosing from Michelin’s soft slicks, studded and winter tyres was particularly difficult. 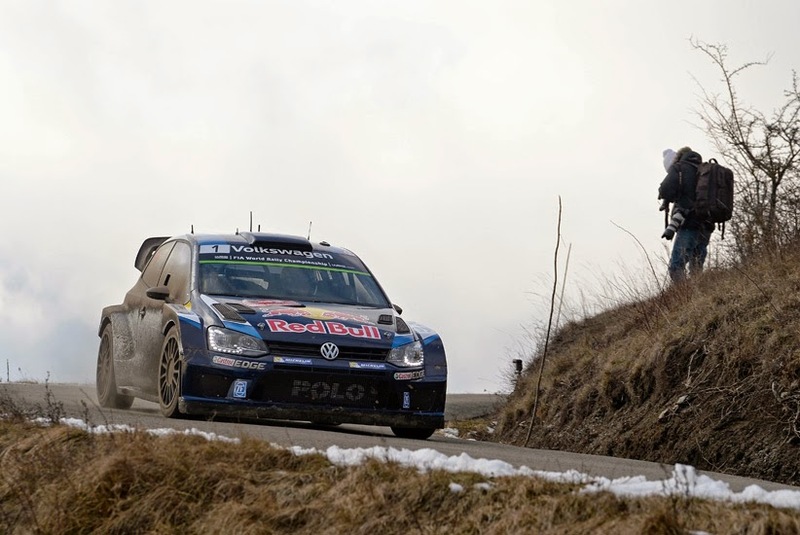 In the morning, the three VW crews opted for a combination of four studded tyres and two winter tyres. In the afternoon, Ogier/Ingrassia headed out with four studded tyres and two slicks, while Latvala/Anttila and Mikkelsen/Fløene went for a mixture of two slicks, two studded, and two winter tyres.